I am so thrilled to be embarking on this new endeavor! It was actually my own experience while selling and purchasing a home that I caught the real estate bug. Searching for homes, and then researching the available options, touring listings and realizing their potential ... it became a hobby, maybe even an addiction. Even after finding the perfect home for our family, I could not stay away. 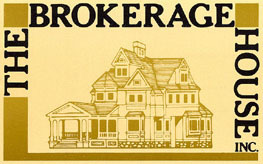 After further consideration, I was thrilled to be welcomed by The Brokerage House as a Realtor. With almost 40 years of success and commitment to the community, their boutique style of service and reputation for excellence has proven to be a perfect fit. To further my experience in the industry I have partnered with Jenifer Scanlon to ensure that all clients will receive the attention, experience and results that they deserve! It would be a privilege to assist you with any of your real estate needs!